Advice and tips on how to buy online great quality things on lower prices. When we say Christmas, we automatically think about a holiday evening and presents. We wait for this time of the year with anticipation and fear at the same time. Unfortunately, today many people cannot afford spending much money on Christmas gifts as global financial crisis has touched almost everyone. If you’re on a tight budget, you can limit yourself to buying some souvenirs or cheaper gifts, but it’s natural that we want the best for those who we love. In case you have some free time, you can find truly great Christmas deals that won’t crush your budget. So, how to make wonderful gifts for less? 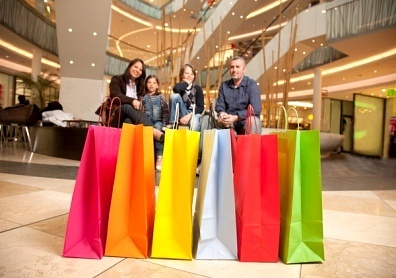 Starting from Thanksgiving various shops offer special discounts and promotions aimed to attract more buyers. Check your local newspapers for that information or you can visit a website dedicated to your city’s news as usually they display such ads as well. No need to say Internet is the most desirable place for all discount seekers. Only here you can find best Christmas deals without spending long hours driving from one shop to another. As a rule, Internet shops do not have retail version, so they don’t need to pay for rent, shop assistance, security and so on. This makes them able to offer the same goods on prices lower than in retail shops. Another advantage – online shops are often huge warehouses with large stock of goods, so they don’t ran out of stock quickly. This means more people can find great Christmas deals online. Finally, here is a little trick. Many people complain they do not buy online because they cannot see the actual good. Indeed, stuff like clothes may be hard to purchase and electronics may be inconvenient in use. In order to escape this visit your local store to see the same thing, decide whether it meets your expectations and then purchase it online for less.